The tools and supplies I use to make my scrapbook pages. I was just browsing the new Scrapbook stuff at Target. 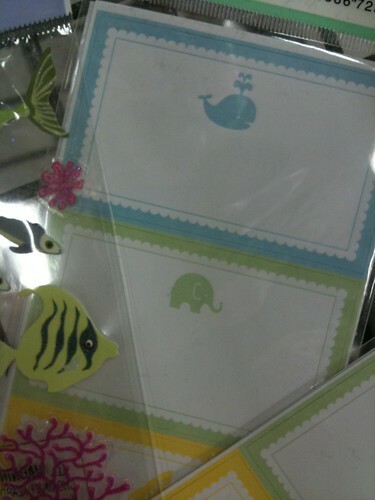 Lots of cute stickers and papers! Are you a stamper on a budget? Go to Costco and pick up one (or all) of these Inkadinkado Clear Rubber Stamping sets! They’re currently on sale for $14.99, but get them while they last! Original price was $19.99 (which is a great deal as well). Usually, a sheet of clear stamps is about $9.99. These sets come with at least 5 sheets. :) Happy Costco shopping! Be sure to stop the scrapbook section at places like Walmart too! Although the selection is small, you can find a few unique things too. This is at the Honolulu Walmart. 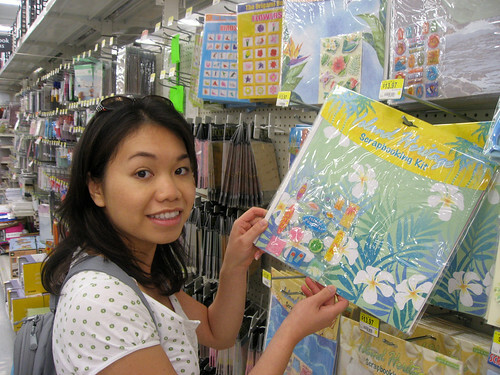 I couldn’t resist picking up a Hawaiian scrapbook kit.